It’s Wednesday, which means it’s time for our weekly Dog Word of the Day! So today we opened up our encyclopedia on a random page and landed on the letter “N.” On that page we saw a picture of a baby and noticed the word “neonate,” which means “a newborn child or mammal” so we decided that our dog word of the day had to be the term “neoteny” which is closely related to the term neonate. What does a baby have to do with dogs? There are actually some interesting relationships between the looks of babies and how we perceive dogs. Read on to learn more. According to Science Daily, neoteny is the retention of juvenile physical characteristics well into maturity. Also known as juvenilization, in evolutionary biology neoteny refers to the process behind the retention of baby-like, “neotenous” features such as larger eyes, bulging craniums, higher foreheads, smaller noses and smaller mouths. Some like to call it the cuteness factor! When it comes to humans, we can say that we are quite neotenous if we compare our facial features and overall bone structure with our closest living relative, the chimpanzee. According to Scientific American, more than resembling an adult chimpanzee, for decades scientists have noted instead how adult humans resemble infant chimps, but why would we retain infantile, baby-like traits? Interestingly, our looks could be a matter of a delay in development. 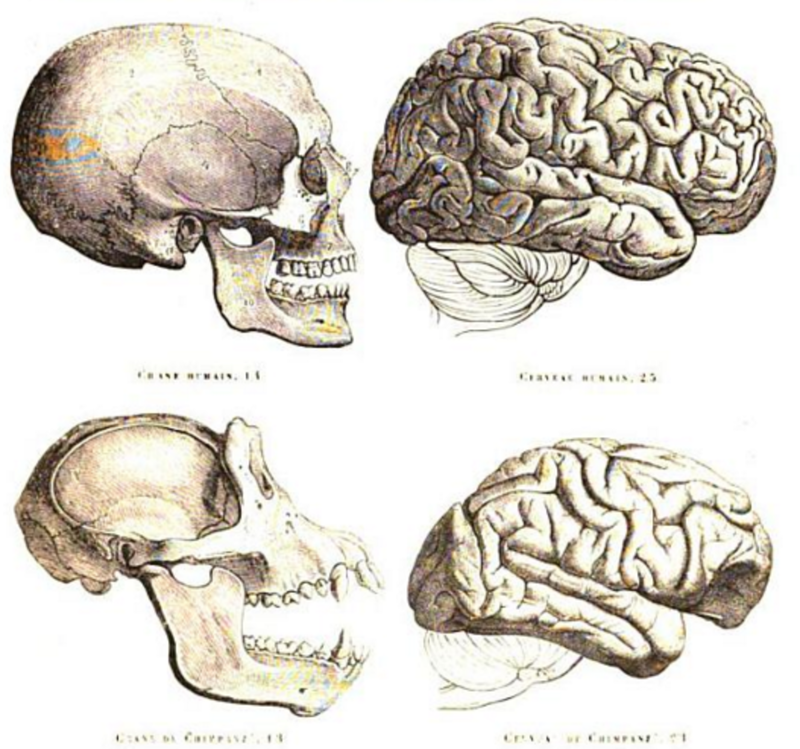 When the development period of humans is compared to the development period of chimpanzees, humans showed marked differences. For instance, while chimpanzees become sexually mature by the age of 8 or 9, humans take five more years, explains Ed Yong, in Science Blogs. Neoteny, the retention of juvenile traits, therefore occurs because of such delays in development, explains Philipp Khaitovich, molecular biologist of the Max Planck Institute for Evolutionary Anthropology in Leipzig, Germany. And it isn’t only a matter of looks, because neoteny also translates into an extended childhood, a time when our brain is particularly plastic, which provides the opportunity for our brains to further develop. 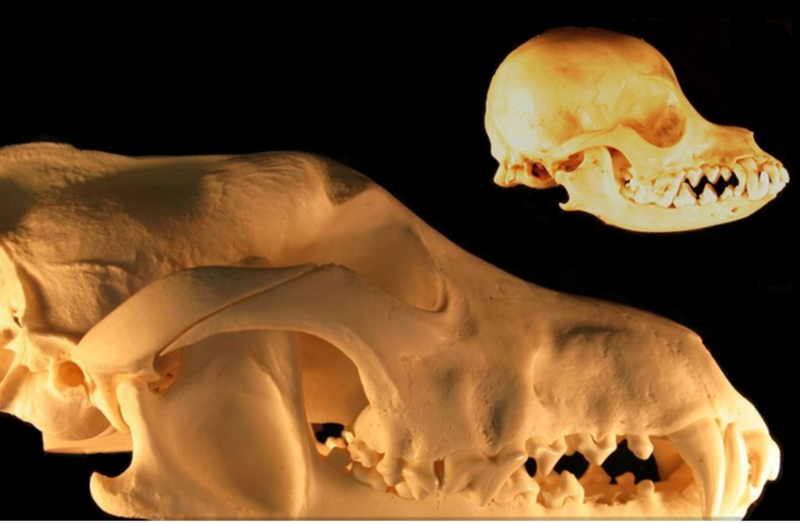 Interestingly, dogs also are quite neotenous creatures, especially when we compare their facial features and overall bone structure with their closest, ancestor, the wolf. Just as in humans, dogs appear to be more similar to wolf puppies than adult wolves, retaining puppy-like looks and behaviors well into adulthood. Their prolonged and slower juvenile period compared to wolves, allowed for a higher degree of plasticity and higher “trainability” compared to their wild relatives. As in humans, the juvenile period allows more flexibility and a better response to learning, explains Edward O. Price in the book “Animal Domestication and Behavior.” These neonatal traits have been cited as a result of domestication. (Fox, 1968) It’s important to note that these differences in developmental stages have set dogs and wolves so far apart that nowadays comparing dogs with wolves is somewhat like comparing humans to chimps. “Dogs possess social intelligence far beyond that of their wolf ancestors, and in many ways they’re more like us than our own primate relatives,” explains Brian Hare, founder of found the Canine Cognition Center at Duke University. As dogs shifted from the role of working dogs, to the role of companions, neonatal traits were further emphasized. Dog fanciers selectively bred for appealing traits such as flattened faces, large eyes, bulging craniums, shorter muzzles and floppy ears. All traits that make us ooohh and ahhh and that evoke all those warm and fuzzy feelings of dealing with cuteness and care taking. 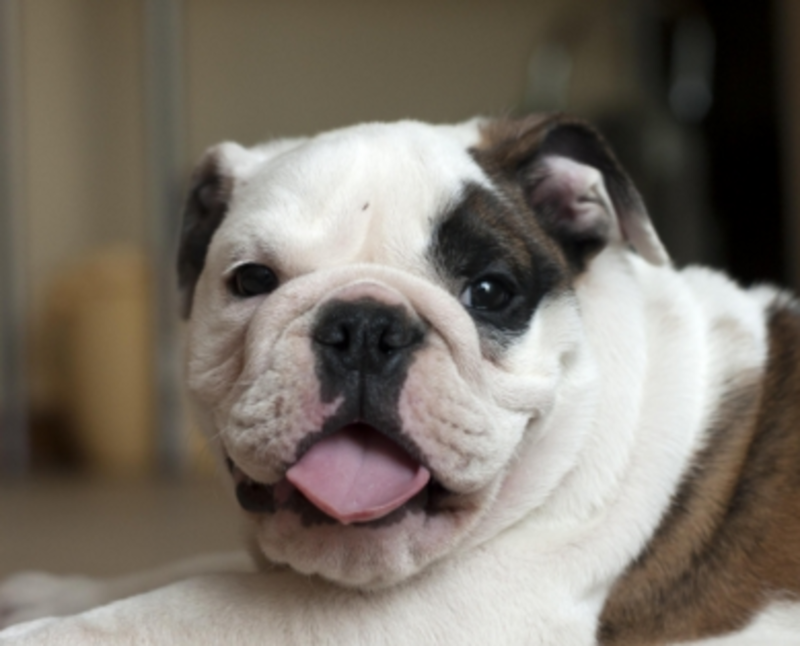 These traits are more pronounced in certain breeds such as the cavalier King Charles spaniel, Pekingese, pug and French bulldog. While the effects of neoteny are quite interesting, one must remain with an open mind as the subject is still under scrutiny as we gain more and more insights about the developmental process of both humans and dogs. Different theories abound as we await more clarifications about the exact genetic mechanisms. 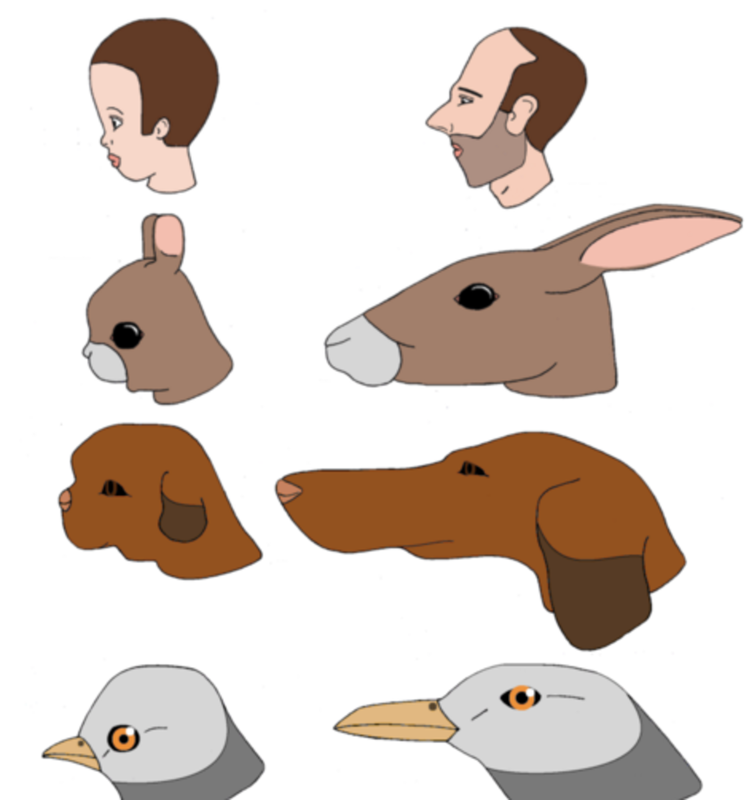 “HUMANS FEEL AFFECTION for animals with juvenile features: large eyes, bulging craniums, retreating chins (left column). Small-eyed, long-snouted animals (right column) do not elicit the same response.” –Konrad Lorenz photo by Ephert Wikipedia, Creative Commons Attribution-Share Alike 4.0 International license.